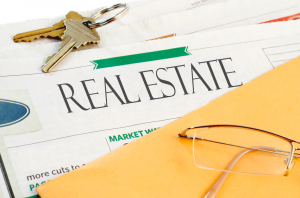 We transform distressed real estate and create profitable and reliable real estate investments. We provide honest solutions for investment property sellers who need to sell fast and investors looking to grow their portfolio for better returns. A. Nez Investments LLC is one of Morgantown‘s premier real estate investing groups because we focus on doing things right. We specialize in distressed properties (multi-family, commercial, retail, single family, bank REO’s, sellers who need to sell fast). At A. Nez Investments LLC we believe our success is a result of the relationships we’ve built and our process in buying and selling quality houses. Houses that we buy tend to be the ones that aren’t the best looking in the neighborhood. So when we buy into an area, the community embraces us because we’re helping to beautify the community they live in as well. Being one of Morgantown‘s premier real estate investment firms we run across a lot of great investment property deals in Morgantown, Pittsburgh, and Columbus. Many fit our buying criteria, but many don’t and we pass those deals along to other investors in the market. Also, we work with qualified local investors who want to invest their hard earned money passively (totally hands off) or semi-passively (who want to be more active in the maintenance of the investment) in the real estate market by partnering on deals or simply as an alternative to investing their money in traditional places like the stock market or low yielding CD’s. Something we take a lot of pride in is being able to help so many homeowners who need to sell your Morgantown house fast… whether it’s as a result of a foreclosure, bankruptcy, divorce, probate, landlord who’s tired of dealing with tenants, or any number of reasons… we’d love to help you discover all of your options. One way to sell your house fast in Morgantown is with our “We Buy Houses Morgantown” program where we’ll make you an all-cash, no-obligation, and no-hassle offer today. For example, we had the pleasure of working a real estate cash buyer in Houston TX, he specializes in working with distress homeowners who can’t sell through the traditional agent. 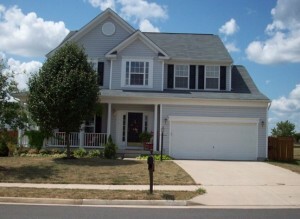 If you want to see if they can help you, just got to their website http://www.usapropertyvestors.com/. How it works is you’ll tell us a few things about your property… we’ll get to work doing some research… then we’ll present you with a fair offer based on what we can pay for the property with a quick close (we can close in as little as 7 days if you need to) and with cash (so you don’t have to wait for a bank to fund the purchase, we’ll just bring a check to the closing table. Are you in looking for a trustworthy local we buy houses company in your area. We are associated with reputable companies in Fresno CA, Milwaukee WI, Kansas City, San Diego CA, Wilmington NC, Portland OR or if your in the Maryland/DC area and you need to sell your house fast in Baltimore, contact us today. We also come across many distressed single family Morgantown properties because of our relationships in the market and secure those properties at substantial discounts. Many people call these properties fixer uppers or “handyman specials”. 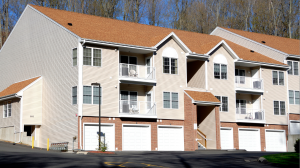 Because of our very effective marketing programs, we’re able to get investment property deals in Morgantown that most other investors never even hear about. We pass those savings along to our investor buyers on our VIP Property Deals list. If you’re interested in buying Morgantown and West Virginia investment properties at steep discounts (both single family and multi-family)… whether you plan to buy and hold as a rental property or fix the property up and resell it… join our VIP Property Deals list today to get an email when we secure new properties that fit what you’re looking for.